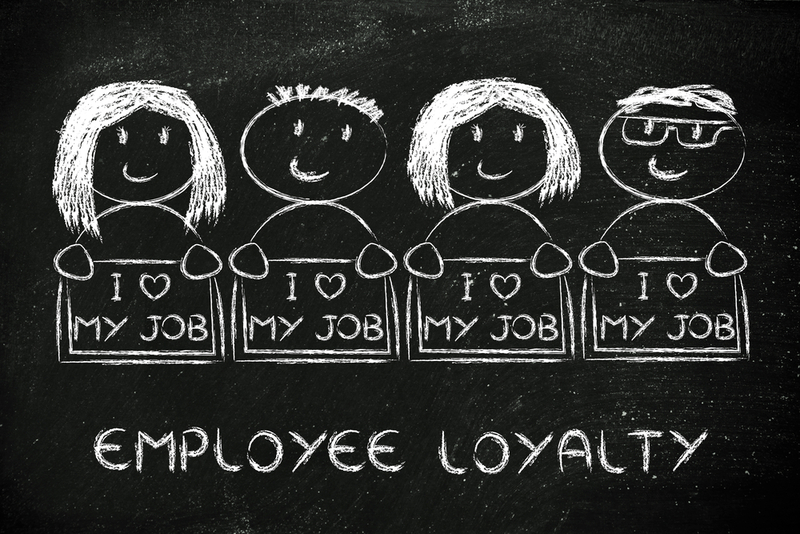 As a business owner, you know that your employees are your most valued resource. Showing appreciation for them (and meaning it) should be one of your top priorities. Your business thrives when your team is satisfied because they are excited to come to work and contribute to a growing, healthy company. The reverse is also true – if your team is unhappy, this negativity can spill over into a bad customer experience. So what can you do to keep your team happy and engaged? Here are a few suggestions that you can use to create more hype… and less gripe. A Simple Thank You This is as simple as it gets when showing appreciation. Most of us are so busy worrying, stressing, and running around trying to get things done that we forget to simply thank our employees for their wonderful work. A simple thank you and a smile when they hand in a report lets them know you are paying attention, and yes, you do care. An Open Door This is another simple sentiment. Leaving your office door open can give your employees the opportunity to interact with you more. You can show them you are not just the person who signs their paychecks or asks them when they will give you that report. Show them you care by letting them in for simple conversation and appreciate their presence. A Fun Tradition We all know seasonal holidays are hectic, busy, and stressful. The winter holidays are, for most, the busiest time of year – and also the most profitable. Taking some time to create a fun tradition with your employees—whether it be a holiday potluck, a game, or dressing up—will show them their boss can be fun, flexible, and thoughtful. Throwing a little Christmas bonus their way doesn’t hurt either! A Question Yes, a question. A simple “how are you?” or “how is your family?” can show you care. Get involved with your employees and their lives, get to know them! Show them your care by giving them your attention and interest. If they feel you are invested in them, then they will invest in the company. An Internal Improvement If bonus checks or small gifts are not your thing, why not improve their working environment? Replace that old, decrepit coffee machine that leaks, or that broken down couch in the break room. A ping-pong table will allow for internal competition – why not give employees a way to burn off steam and build relationships. One gift that benefits everyone shows you notice their needs and wants, and care about them. A Specific Compliment Compliments we give one another are usually boring and generic, leaving our employees feeling unappreciated even though we just praised them. Instead of the usual “Thanks for the hard work, Bob!” Try specifying what hard work they did and how much you appreciate it. Something along the lines of “Bob, I can’t tell you how much I truly appreciate your hard work to obtain that new account. We’ve been after it for months! This is a huge accomplishment for you, our team, and the company.” An Opportunity Growth is not only important to us and our businesses, but our employees, too. They want to improve and move up, so give them the opportunities to. Create a plan for them to achieve a promotion based upon requirements, or motivate hard work with excellent rewards, such as a paid day off. An Unexpected Treat Bringing in donuts and coffee is easy, cheap, and takes barely any time at all. But this small gesture puts a huge smile on your employees’ faces and makes their mornings that much better. And when their mornings start off good, so does yours. These are just a few ideas that you can do to show your appreciation. If you are still stuck, then put out an anonymous survey and find out what your employees want from the company. Would a rewards/recognition program fit the company culture? What about a monthly team building activity that gets them out of the office a few hours early on Friday? Your team will let you know – then you can decide what works best with your budget!